After being in a hiatus for a couple of months, KJ Noons is back at Strikeforce! Will the lightweight division serves him well? 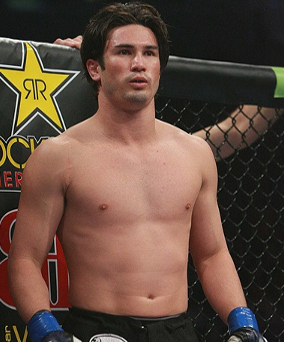 After being sidelined since his October rematch against Nick Diaz, KJ Noons plans to return to Strikeforce on April 9. He will reportedly fight on the promotion’s April 9 lightweight card against a competitor that is yet to be announced. The 28-year-old KJ Noons suffered a broken jaw and left hand last October during his rematch against Strikeforce’s welterweight champion, Nick Diaz. The April 9 slot was originally meant to host the last two quarterfinals of the promotion’s Heavyweight Grand Prix. However, the bout was moved to June 8 in Dallas. A lightweight title match between Gilbert Melendez and Tatsuya Kawajiri will likely fill one of the top slots of the show. Nick Diaz is also penciled to defend his welterweight title from Paul Daley. Gegard Mousasi is also rumored to brawl contra Roger Gracie.